Home page when not logged in. 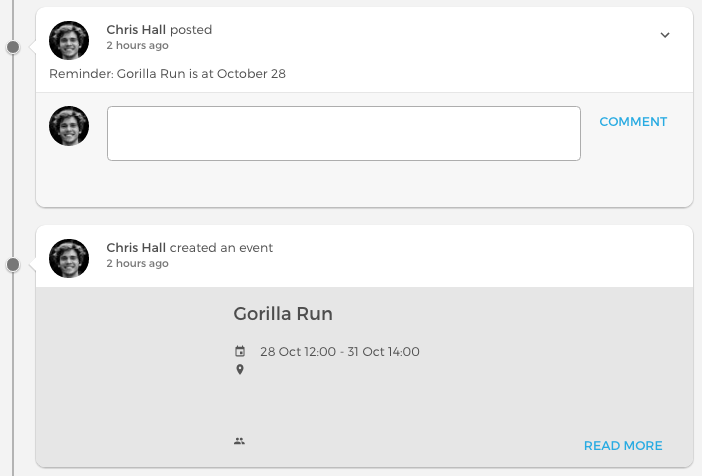 Shows the important activities of the community that are visible to the users who has not logged in. Home page when logged in. Shows the important activities that is relevant to each user. Explore page. Shows all the important activities of the whole community. In a user profile. Shows all the important activities of a user. In a group. Shows all the important activities of a group.